Stay in a small, charming campsite, experience history and discover the most beautiful island stories in the historic town of Osor. 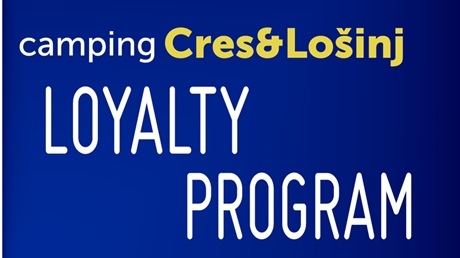 Book your holiday now and get a 10% discount. Place your camper, caravan or tent on one of our camping pitches closer or farther away from the sea and enjoy your well-deserved holiday. 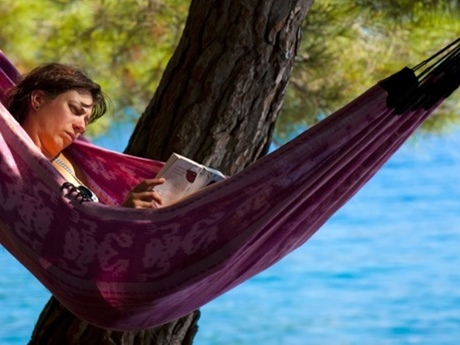 It is possible to book a specific pitch for a camper, a caravan or a tent + 2 adults + 2 children!! 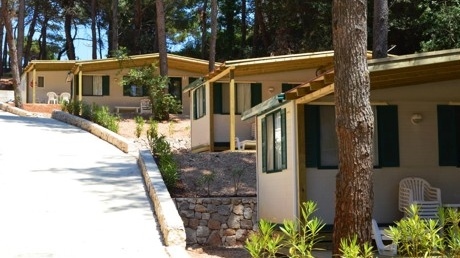 Spend your holiday in caravans located in the dense pine forest of the Bijar campsite. Enjoy a wide range of sports and entertainment amenities. 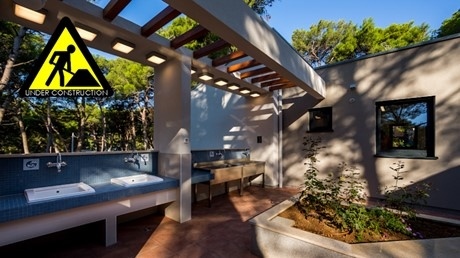 Camp Bijar is a small camp by size, but with a great opportunity for a relaxing holiday in an oasis of centuries-old pine forest. 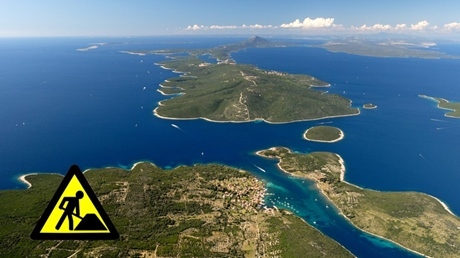 The camp is located just 500 meters from the historic town of Osor, also known as the "museum town". Along the coast of the camp stretches a rocky beach with several sandy beaches, an ideal combination for those who love swimming, wind surfing and canoeing. 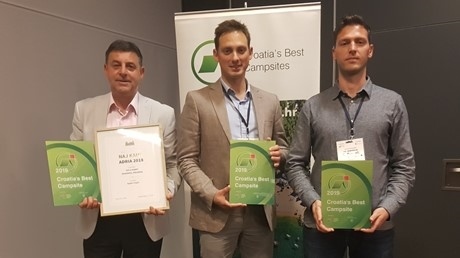 The camp was awarded, in 2009, by the Italian Association of Campers with the award "Simpatia ed Ecologia" (Sympathy and Ecology). 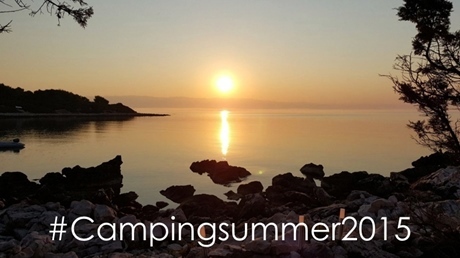 The camp is suitable for camping in small tents and caravans and offers accommodation on Superior, Premium, Comfort and Standard pitches as well as accommodation in caravans for hire. As for sports facilities there are volleyball and basketball courts available, and the youngest will find fun with the camp's entertainment team who organise many fun activities. 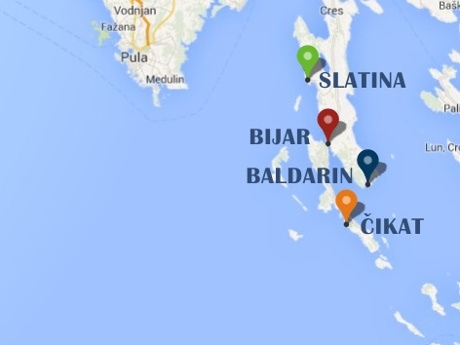 The campsites Slatina in Martinšćica and Bijar in Osor have been renovated for season 2016. 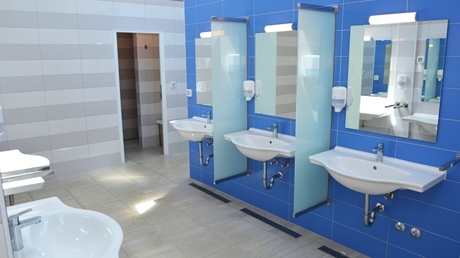 Two new sanitary facilities cover a total area of 200+ m2. 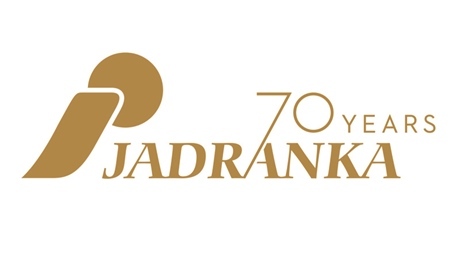 Jadranka camping Ltd. in 2013 has proceeded with numerous investment projects aiming to improve the service at its campsites. 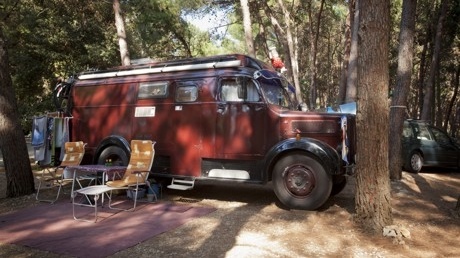 Premium pitches are located away from the sea in the shade of pine trees. They are perfectly located for a pleasant stay. They are equipped with electricity and water connections. 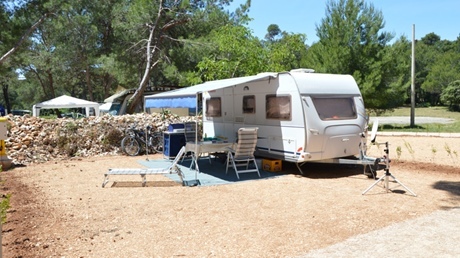 Comfort pitches are cascade arranged plots in the shade of pine trees and are suitable to accommodate tents and caravans. Pitches come with electricity, water and sanitation. Standard plots are newly renovated plots near the reception and children's playground and come with access to electricity. You would like to go camping but you don't have your own tent. We have a solution for you – already equipped mobile homes! 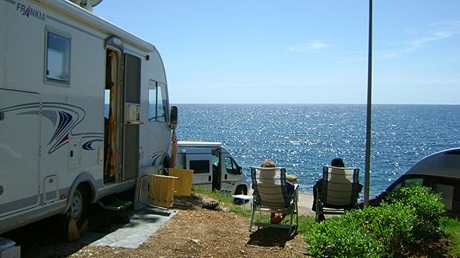 Book a completely furnished mobile home and enjoy a vacation with your family! 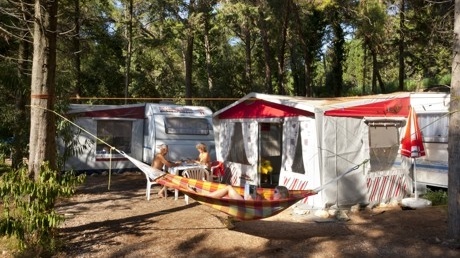 We offer accommodation in caravans for rent of our longtime partner, Gebetsroither. 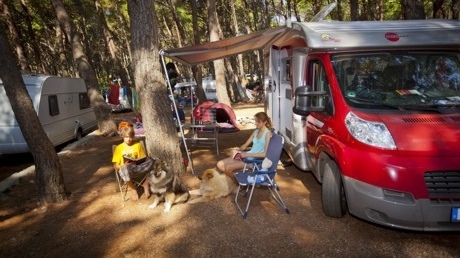 Caravans are equipped with everything needed for a comfortable stay in the camp Bijar. “ It was a memorable vacation ... Sun ... Sea ... Nature ... and peace on this beautiful island. ” Mitja Komvali, Italy, 07.03.2013.